Additional reports of malfunctions have prompted Johnson Health Tech North America of Cottage Grove, Wis., to reannounce its earlier recall of about 3,000 Matrix Fitness Ascent trainers and Elliptical trainers. Moisture from user perspiration or cleaning liquids can build up in the power socket on the unit, causing a short circuit, posing a fire hazard. The firm has received 11 additional reports of sparking, smoking, “shorting out,” and/or melting at the power cord and socket in addition to the 44 incidents initially disclosed in the 2014 recall. No injuries have been reported. This recall involves previously recalled Matrix Fitness Ascent trainers and Elliptical trainers installed from November 2011 through December 2012. All Ascent trainers and ellipticals have a swing-arm handle design, with pedals that rotate in an elliptical path. Units also have stationary handlebars. The Ascent Trainers are similar to the elliptical machines, but include an incline function. Users operate the machines in a standing position. The ellipticals are black and silver-colored. 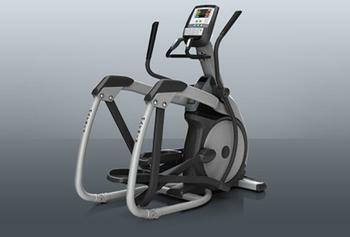 The Ascent trainers are also black and silver-colored with an orange accent color on the machine's body and foot pedals. "Matrix" is printed on the machines body and handlebars. When assembled, the machines are about 70" high x 29" wide and 68" long. The machines involved in this recall have a decal at the center/bottom of the units with model numbers beginning with A-3x, A-5x/7x, or E-3x/5x/7x. This recall includes units with serial numbers beginning with EP304, EP306, or EP308, and with date codes of 1208 (YYMM) or prior. The trainers, manufactured in Taiwan, were sold at Johnson Health Tech North America to dealers, commercial fitness facilities such as health clubs and military facilities nationwide from November 2011, through December 2012, for between $6,000 to $11,000 depending on console installed. Consumers may contact Johnson Health Tech North America toll-free at 866-218-3674 from 8 a.m. to 5 p.m. (CT) Monday through Friday, or online at www.matrixfitness.com and click on Safety Notice at the bottom of the page.